Tasting at Door Peninsula Winery in Carlsville. Photo by Len Villano. However, those who do will be delighted to find wineries in a respectable quantity throughout the peninsula. Wine tastings and winery tours are available at several locations throughout Door County, and some have even figured out a way to incorporate good old Door County cherries into their homegrown blends. Some of these vineyards, for instance Lautenbach’s Orchard Country Winery & Market, are even growing their own grapes, which many thought an impossibility of Door County agriculture. Their vineyard harvests Marechal Foch and Frontenac grapes, from which they started making “Audrey Grace,” in 2004, a red wine named after owner Bob Lautenbach’s granddaughter, and “Nathan John” in 2007, another red named after his grandson. The Nathan John red is also made from Orchard Country’s own Marechal Foch and Frontenac grapes, but it has a rich bing cherry finish, added by cherries harvested at their orchard. Orchard Country also makes wine from their orchard fruits. Most popular is the “Cherry Blossom,” made from 100 percent Door County Montmorency cherries. It was also their first wine, created in 1985. Other favorites are the Red Raspberry Lyte (“lyte” due to the lower alcohol content) and the Blackberry Blend. If you want to stop by the Fish Creek winery and try any of their wines, feel free, literally. The winery offers complimentary wine tasting daily in their adorable marketplace where they sell the wine and many other treats like jams, pies and cheeses and fresh picked cherries. Also, visitors can take a tour of the vineyard and winery to see how the wine is made from start to finish, grapevine to bottle, right there at Orchard Country for just $3. The Door Peninsula Winery, located in Carlsville, also offers free tastings and free tours daily at 11 am, 1 pm and 3 pm, though their tour is somewhat less extensive than Orchard Country’s (it does not include their vineyard). The tours highlight one of the most interesting features of this winery, its rich history. It’s located in the 1868 Old Carlsville Schoolhouse, and the building still holds the original school bell, which sounds during the winery tours. The schoolhouse became home to the winery in 1974. Although they are known for their award-winning fruit wines, Door Peninsula is also experimenting with growing their own grapes. They offer a home-grown white wine made from the LaCrosse grape, and a red made from Marechal Foch. Door Peninsula Winery is the largest producer of wine in the state. In fruit varieties they offer Blackberry, Razzle Dazzle Raspberry, and Sweet Cherry – to name a few – all three of which are very popular. They also offer fruit-varietals, like the Peninsula White, a blend of Door County seyval blanc and apple wine. While Door Peninsula Winery is housed in a historical setting, Simon Creek Vineyard and Winery boasts a modern, 11,000-square-foot facility. 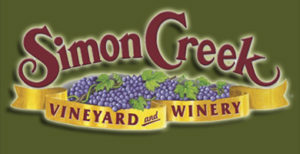 Opening in 2003, Simon Creek Vineyard is named for the Simon family who originally owned the 120-acre farm. Owner Tim Lawrie has planted 30 acres of the property with 20 varieties of grapes, making it Wisconsin’s largest vineyard. While the grapes lack the maturity to produce all of the wine bottled at the winery, they do complement grape juice shipped in from California, New York State, Washington, and Oregon. 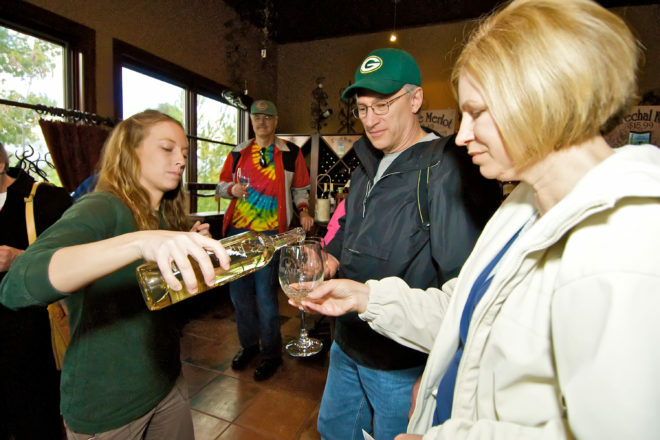 Free guided tours of Simon Creek include a review of the winemaking process from harvest through bottling and casing, and tours end in the tasting room. Free tastings of up to four varietals, including but not limited to the popular American Gewurztraminer and “Untouchable Red” American Ruby Cabernet, are also offered daily. The lodge-like feel of Simon Creek allows guests to sample and purchase wine in comfort, as well as enjoy live musical entertainment on Saturdays, not to mention great views of the vineyard and pond anytime. Another relatively recent addition to the Door County winery scene is Red Oak Vineyard of Sturgeon Bay. Andy Wagener started the vineyard on family property in 2002 and opened a tasting room in historic downtown Sturgeon Bay in 2005. This winery’s mission is “to produce ultra premium wines from fresh fruits using traditional wine making processes.” Fruits used in Red Oak wine production include those grown in Door County and those imported from California and Washington. The relaxed atmosphere of Red Oak’s tasting room is an ideal setting to sample one of their red, white, semi-sweet or sweet wines. A nod to the city’s nautical history, as well as Wagener’s own family history, is Captain Nick’s Port – an award winning port with notes of caramel, coffee and vanilla with a subtle hint of spice and a smooth silky finish. Further north, at the junction of A and E in Egg Harbor, wine enthusiasts will find Stone’s Throw Winery. Guests can enjoy the beauty of the building’s architecture, eat a picnic lunch on their well-manicured grounds, or shop their gourmet market. Stone’s Throw does not offer tours nor free tastings, but this should not be a deterrent. For $5, patrons can taste up to six types of their wine, take a glass home, and do it all while enjoying the classy and earthy atmosphere of their wine bar. Stone’s Throw imports almost all their grapes from California’s finest growing regions, including Napa, Sonoma, and Mendocino counties, and the winery certainly has a Californian feel. The grapes arrive in Door County just 36 hours after harvest, are de-stemmed, crushed, and blended at the winery within six hours of arrival, and ferment here as well. 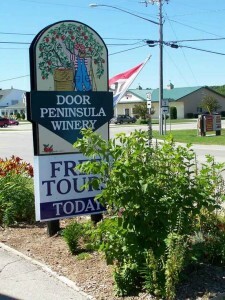 Stone’s Throw does grow one grape variety, the Pinot Nero, right here in Door County. Visitors can walk around their small vineyard where the grape is grown. Stone’s Throw offers quite an extensive wine selection, including some original, unique blends. The 85/15 (85 percent Napa Zinfandel and 15 percent Tempranillo) is a rich heady blend, sure to please the wine aficionado’s palette. 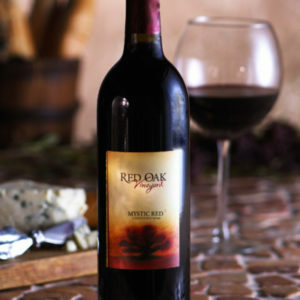 Other notable bottles are the Cabernet Sauvignon – Sonoma 2005, the Riesling – Monterey County 2007, and the Big Mouth Red, an enticing, peppery blend with original label art by local artist Pam Murphy. 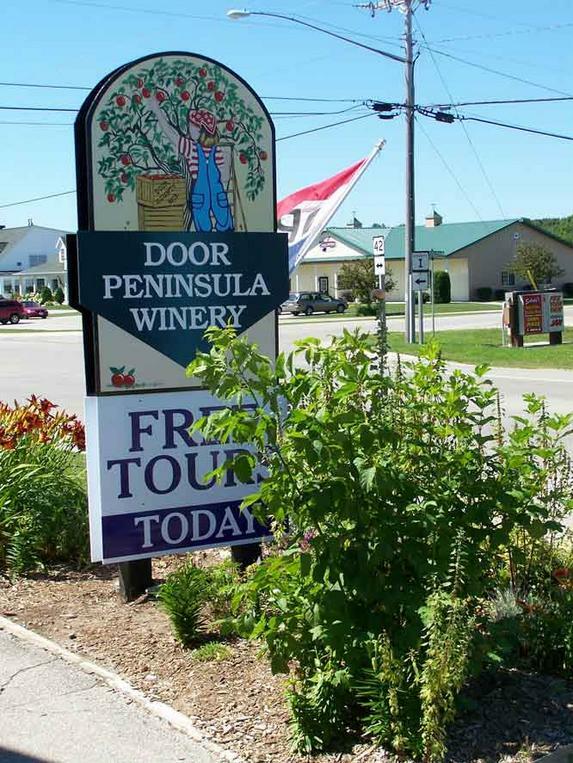 All of Door County’s wineries have distinct characteristics to satisfy every kind of wine lover, or just a curious passerby. All locations offer on-site sales and shipping around the U.S., should you find a bottle or two you really enjoy.